It’s no staggering observation to point out that construction and repair work undertaken at height carries potentially serious risks; anyone can look up at a scaffold and get a sense of the danger involved. However, despite the apparent danger, it’s remarkable how often basic safety measures are neglected leading to devastating consequences. To offer a snapshot of the issue; according to the HSE, of 144 GB workers killed in accidents between 2017 and 2018, 35 instances were the result of falls from height*1. 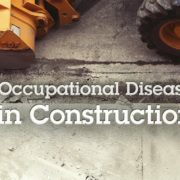 Over the last five years falls from height also accounted for 26% of ALL fatal worker injuries, half of which were within the construction industry*2. The statistics for non-fatal injuries from the same report paint a particularly bleak picture, as falls from height only account for 10% of reported incidents – beneath handling/lifting (21%) and slips/trips/same-level falls (31%). When a fall from height occurs, there is a disturbingly high likelihood that injuries could be fatal. Common causes for falls may include holes and gaps in roofs, fragile materials underfoot, unprotected edges and a lack of fall arrest systems; all risks which can be managed with appropriate countermeasures. This is why confronting the dangers, carrying out roof work-assessments and implementing control measures is integral to keeping workers safe. 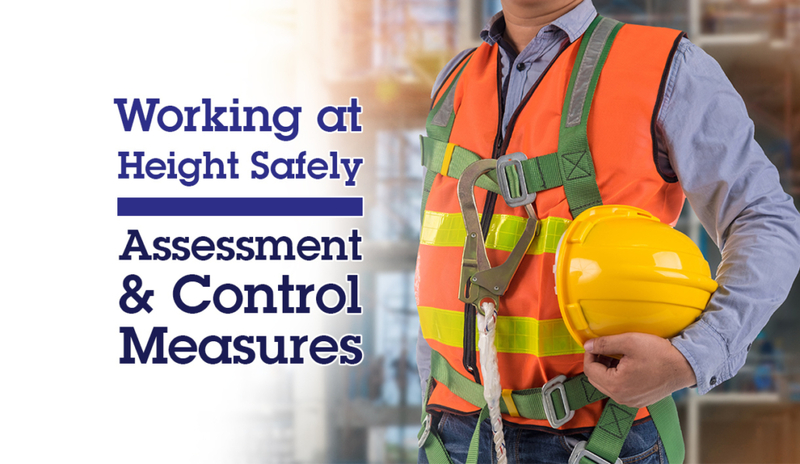 While not a replacement for industry recognised training the purpose of this blog is to raise awareness of typical assessment and control measures required for working at height safely. If any of the below raises alarm bells regarding your current working practice, then it’s time to take action. Before any work at height begins, it is vitally important to assess the risks and hazards presented by the environment, conditions and the required operation. From this – providing managerial expertise is adequate – considerations should be made as to what control measures are required, whether workers are adequately trained for the situation, whether predicted weather conditions may interfere and whether related legislation is being adhered to. The key to maximizing safety is by reducing exposure to identified hazards and lessening the potential impact of an accident. For example; if there is a substantial drop from a roof edge near the working area; edge protection such as guardrails should be fitted before any work ensues. In addition, fall protection may also be required such as fall arrest harnesses, safety mesh, nets and personal alarms on worker’s belts. Most crucially, a proper platform and suitable structural support should be provided as necessary to prevent instability or a collapse. The latter examples are just the tip of iceberg, but it’s this general mindset site planners and managers should adopt to ensure the possibilities of injury, loss of life and penalty fines are as low as possible. The following sections outline some more detailed concerns and action to be taken. As odd as it may sound it’s worth considering whether work at height can be avoided altogether if possible, with the job in question being carried out through safer means. Wherever practical, avoid working at height. If possible, use an existing safe place of work. Provide and implement suitable equipment to prevent falls. 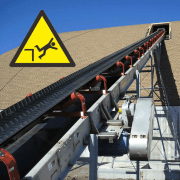 Introduce control measures to mitigate the distance and consequences of a fall from height. Provide safety training, instruction and other means to keep workers safe. What the above essentially amounts to is the prioritisation of broadly protective measures (e.g. scaffolding) over personal protection (e.g. fall arrest systems); reducing the chance of an accident before introducing controls to lessen its impact. Training counts for a great deal in construction and working at height is no exception. It is vital workers involved possess relevant expertise, experience and the physical attributes to carry out their roles effectively and safely. Proper training should be given to them and they should have some form of recognised Health and Safety Training to support their practice. If they lack a basic knowledge of commonplace risks and safe practice, they will struggle to adhere to established systems and procedures, thus boosting the likelihood of catastrophe. 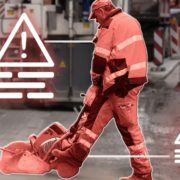 PPE, control measures and reliable equipment could easily be transformed into hazards by an employee who has no understanding of how to utilise them correctly. The importance of communication should not be underestimated either. Assessment of risks and consequent control measures should be clearly explained to the workforce to ensure everyone is on the same page. PPE (Personal Protective Equipment) will always be a requisite to some degree, with hardhats, goggles and gloves being some of the most common. What degree is required should be informed by legislation and your risk assessment, however there are other factors to consider. PPE must fit each employee as intended, be in a suitable state of repair and manufactured to industry standard or it may be unfit for purpose; providing reduced protection or in the worst cases creating new risks and hazards. Consider that an ill-fitted helmet may slip down over someone’s eyes or gloves with poor grip might cause someone to lose their grasp. Whatever the case, make sure your onsite PPE serves its intended function, meets requirements of your project and is worn on a compulsory basis. Existing roof and structural materials need to be inspected before starting a project on them as it will likely be the foundation of work undertaken. Roofing can lose its integrity over time thanks to a variety of factors including weather, moisture, mould, physical damage and fire. If your workforce isn’t informed of possible weaknesses in a structure, then they will operate under the assumption it is solid and likely walk right into a serious collapse. Every year scores of people around the world suffer life changing injuries and fatal accidents from falling through roofs. It is thus vital that raised surfaces you work on are approved to be safe by a structural engineer or fitted with appropriate control and support measures. It is essential that safe access is provided to the cavity of the roof in question as well to allow for an internal assessment of integrity in a way that cannot be judged from the outside. Besides the roof itself, another often overlooked set of risks are those presented by skylights. While a roof may be sturdy, a misjudged step by a worker onto glass could have tragic consequences. Appropriate skylight guards and awareness of their location should be mandatory. To ensure safe access to roof areas, under professional circumstances portable industrial – NOT domestic – grade ladders should be used. In the EU and UK these should be tested for a maximum load of 150 kg in order to be compliant with the present EN 131 standard. When placing a ladder, it should be aligned in such a way that it is firmly grounded and secure at an angle where it won’t slip. The 4:1 rule is good way to estimate this; for every four feet you are required to climb the base should be moved one foot away from the wall. When climbing them workers should take their time, ensure that three points of contact are maintained throughout and avoid carrying heavy equipment up without support. It is also important that ladders are not misappropriated for purposes other than what they were designed for. They are not a stable substitute for scaffolding, should not be based upon vehicles and certainly never tied together as a DIY extension. Are the feet present and in good condition? – If either of the feet are missing, damaged or severely worn down there could be a danger of slipping. Are the stiles in good repair? – If they are bent or otherwise damaged there may be a risk of collapse. Are the rungs in a good state? – Whether any are missing, bent or loosened this could present severe risk. Are the rungs clean? – If they are greasy, muddy or damp there may be a risk of slipping. If present, are locking mechanisms intact? – If not, the ladder’s integrity could be at risk. In the event any of the above bring up a red flag, use of the ladder should be postponed and either the manager and/or employer notified to rectify the issue. Working in Construction? 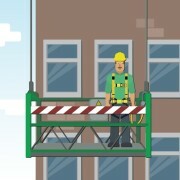 Ensure you understand the risks of working at height! 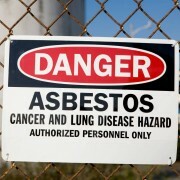 While banned or heavily controlled in many countries, asbestos risks are still present in many roofs usually in the form of asbestos cement. If any is discovered during assessment of a project then it is important to call in specialist support before any work is undertaken, to judge the specific risks and what controls are required. A few essential things to keep in mind if you discover asbestos cement in roofs; AC roofs are nearly always fragile and thus unlikely to hold up a worker’s weight without support. This is doubly dangerous as upon collapse they could also spread deadly fibres through the air and into other worker’s lungs with the long-term potential to cause mesothelioma. Removal of said asbestos should only be undertaken by qualified specialists, while anyone working around it will need suitable PPE including disposable hooded overalls, boots without laces (for ease of decontamination) and reliable respiratory equipment fit for purpose. To find out more about asbestos risks and associated long-term health hazards you can read more here. It’s worth keeping in mind that the risks of working at height go beyond those to workers. Controlling risks to passersby beneath is also an important consideration. An immediate measure to keep the public safe is ensuring that no persons other than those assigned by management set foot within the working site; appropriate warning signage and barriers should be in place to reinforce this intention. The area directly below roof work should also be isolated to ensure that debris and tools cannot fall on passersby, while workers around roof areas with notable fall risks should also be attached to a secure anchorage point of reasonable length with a tested fall arrest harness. Additionally, electrical outlet positions should be noted in any initial assessment, keeping track of related risks they pose. Minimum approach distances should be maintained by workers and vehicles in relation to nearby overhead electric power lines too to remove the danger of a flashover. The weather can be particularly unpredictable risk to account for, as such a vigilant approach is a must. Adverse weather conditions, such as heavy storms, blizzards or severe rain dramatically increase the chances of misjudgment, slips, trips and falls along with long-term exposure to the cold. 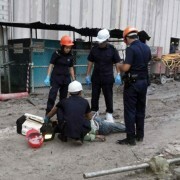 If they occur you should postpone work as needed to keep employees safe. A less obvious weather risk to keep in mind as well is when the angle of sun and/or temperature is high, resulting in dehydration, sunburn and sweating; all of which could contribute to greater fatigue and long-term health problems. Wind speed is another issue to keep in mind. Tall objects will require assessment as to whether they are strong enough to withstand high wind speeds and storms. Proper support systems should be provided as needed, while in the worst cases equipment and supplementary structures may need to be removed to guarantee safety. In closing; working at height presents substantially increased risks, but there is no justification for negligence at the cost of worker safety. Everyone deserves to go home safely, and this is all the more reason to ensure a thorough risk assessment is undertaken with suitable controls implemented as needed. Failure to do so may save time, but when the potential cost is injury, loss of life and financial penalties it’s never a gamble worth taking.